One of the greatest action films of all time, The Dark Knight.  It was bound to appear on my radar when it came to my next movie poster project. And after weeks of work, I’m finally proud to share my latest creation. I’ve struggled a lot with this one. From the get go, the concept of Batman -one of the greatest heroes in modern history- has alluded me. How can I portray this tormented vigilante, show his struggle to enforce his own vision for justice. I watched and re-watched the film dozens of times, pausing, rewinding, fast-forwarding and stopping the film. I read and re-read the Frank Miller comics -which I believe really represents the truest form of Batman. And finally, I came up with that “Eureka” moment. This will be a limited edition 18×24 inch print series, printed on high quality Giclée Strathmore #100 Bond printing paper. The prints will be limited to an edition of 50 only, obtain yours here. 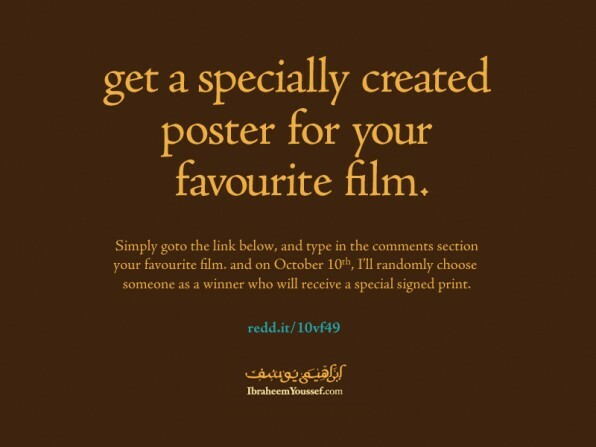 Get a specially created poster for your favourite film. obsession sessions with Mohamed Nabil. Third week into Twenty Twelve, welcome. This exciting monday morning I’m pleased to introduce you to Mohamed Nabil. 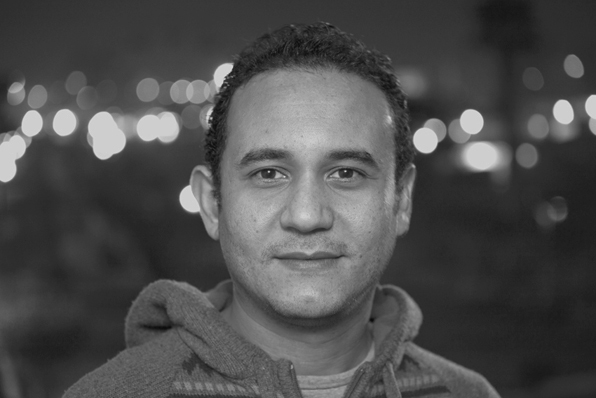 I’ve known Mohamed since early 2000′s way back in Fine Arts College in Zamalek, Cairo. But, I didn’t really get to know him better and appreciate his unique talent till a couple years ago. His eye for developing unique materials in such an original way is un-rivalled in his field, I managed to get a brief glimpse into his mind over the holidays. M: My earliest memory of a creative activity I remember is that I redesigned the school books cover and over illustrated the drawing that I found in my school books. By adding decorative patterns and made distortion to become look like the metal bands that I listened to at this time. M: Traveling any where inside or outside my country and listening to the native people who think that the world ends at their door. M: I’m sharing with you some of my favorite work in 2011. Arabic typography is my biggest passion. trying to represent the main local character of Egypt and the middle east culture by creating a contemporary designs typography that reflect our global insights. It’s time for the second obsession session with none other than one of the most inspiring and interesting people I’ve met to date, Daniel Julien. A graphic designer, actually a modern day DaVinci based out of Montréal, Canada. He knows no limits when it comes to exploring new creative boundaries, from product design, posters, identities to anything that oozes coolness, daniel does with swagger and a smile. I met him a couple months ago during a multi-week stint at creative powerhouse SidLee in Montréal while working on the next global creative campaign for adidas, I’m privileged to know such a positive person. x Probably Djing (so predictable). Been fascinated by turntables and records since I was a shorty. My father would get mad at me, I would crank some christmas disco songs and Greek dance music all day ‘eer day. Or maybe private investigator, yeah, private investigator. x Mostly inspired by small things, the unnoticed. Wherever my attention deficit brings me. In crush mode when all is hectic and the deadline is giving me the cold shoulder – panic overcomes and then I realize that the solution has been in front of me all the time. I: Share any piece of your work, recent or old and talk about it. 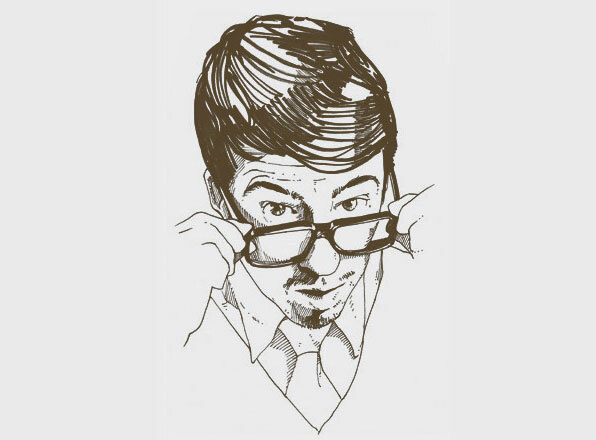 x I was ask to build a logo for a collabo between Furni and Ken Diamond — Almost carte blanche. Only constraint, It had to link Montréal and Vancouver. 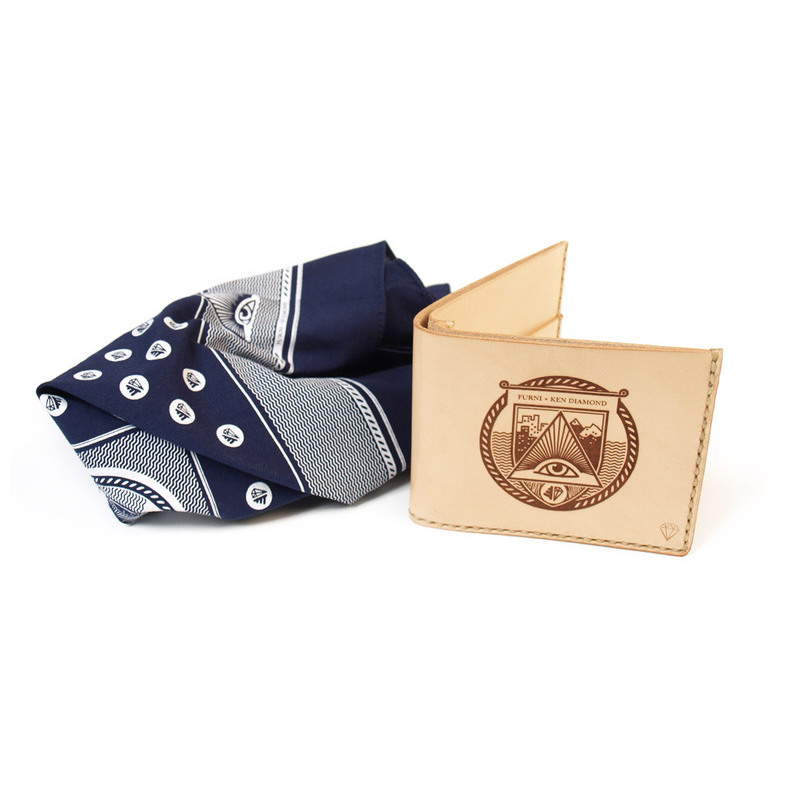 Printed on an hanker chief and laser etched on a pale leather wallet. Really into product design lately and many fun opportunities are coming thru. Facebook Page ~ Three 24×36 inch Limited edition print Giveaway. To commemorate the recently launched facebook Page for my Art & Design work, I will be giving away three 24×36 inch Limited Edition prints to three lucky members of the page. Winners will be announced January 1st 2011!